Willem Jeths (1959) has written a symphony. He already had an opera, three string quartets, eleven solo concertos and a large number of orchestral and chamber music works to his name, but he waited a long time before attempting the most important genre of the orchestral repertoire. In fact it is not a traditional symphony in the classical-romantic sense, but rather a piece with four movements themed around the cycle of life, death and transformation. In retrospect, the first step towards the symphony was the successful premiere of his orchestral work Scale – Le tombeau de Mahler with the Royal Concertgebouw Orchestra at the end of 2010. Even while he was composing it, Jeths felt that Scale needed to be part of a larger whole. In 2012 he wrote the orchestral work Metanoia, in which he linked material from Scale to new ideas. The content of Metanoia connects seamlessly to its predecessor. To surround this dramatic instrumental diptych, Jeths composed two vocal movements of a more philosophical character. In Goethe’s voluminous collection of poems West-östlicher Divan from 1814-1819 he found two poems that revolve around the cyclic dimension of existence. In the opening movement, he incorporated two stanzas from the poem Unbegrenzt [Uncircumscribed] and in the final movement, the entire poem Selige Sehnsucht [Blessed Yearning]. And so the symphony begins and ends with Goethe; not only does it have a cyclic theme, but also a cyclic form. The piece, just under 45 minutes in length, in fact consists of one single build-up of tension in which we see that its musical and its philosophical aspects are all interconnected. 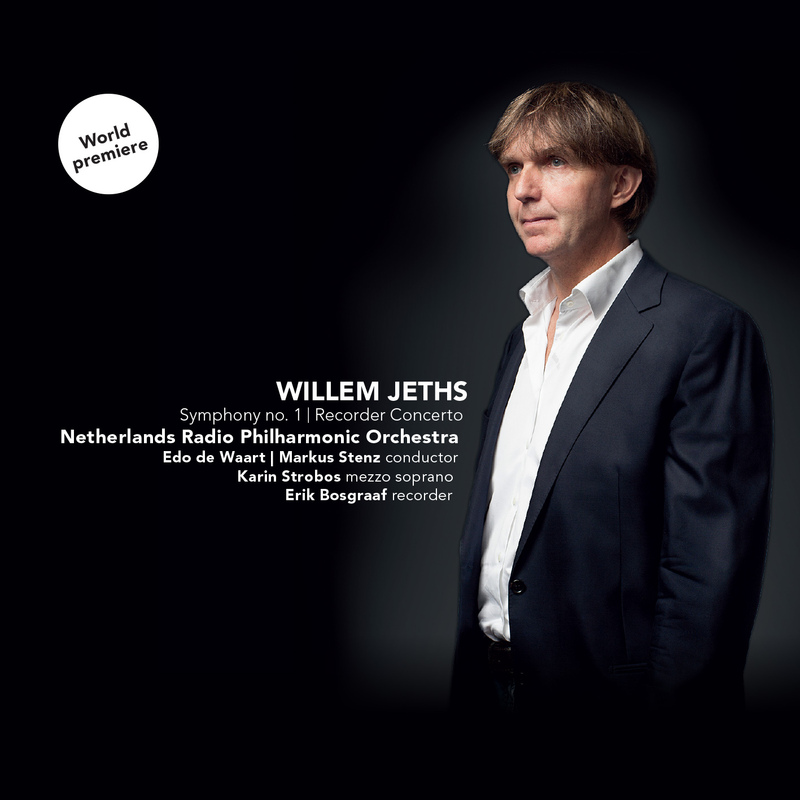 When we consider the art of writing concertos, Willem Jeths is undoubtedly a musician who has the experience that is required. No fewer than thirteen such works have now flowed from his pen. New recording of Hartmann's only completed opera already nominated! Hartmann's complete symphonies on 3CD! Available now: Van Zweden's Parsifal - a world class performance! Governement desides on future MCO today! Luister Editors Choice for the Meistersinger!
" [...] If you have any interest in music that is both heart-wrenchingly beautiful and profoundly moving to the soul, you will move mountains to acquire this CD. [...] "
"“[...]the vulnerable purity of a child’s spirit.[... ]”"
"[...] Notes of wonder that, without diversions, are speaking to the heart. The Radio Philharmonic, the mezzo Karin Strobos and Erik Bosgraaf, who plays the recorder, all give the best. So, a lot. [...]"
""The tension created which the orchestra directed by Markus Stenz and the soloist produce, is electrifying." "